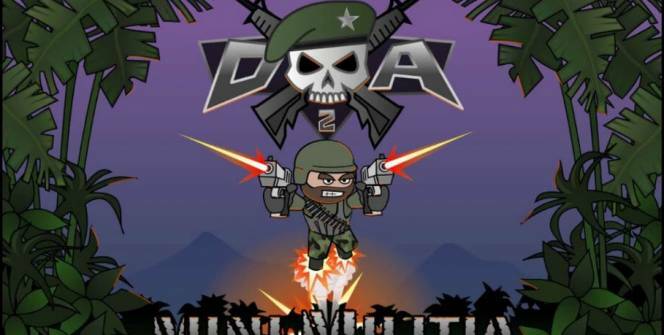 If you think that you’d enjoy playing a casual shooter, which offers addictive gameplay, it’s well worth downloading Doodle Army 2: Mini Militia. A hot game that is developed as a sequel to the popular game Doodle Army, which was an international success. 1. 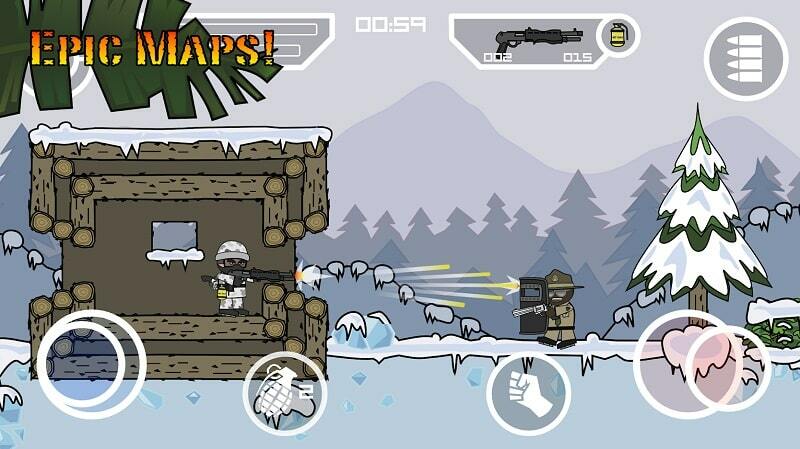 Doodle Army 2: Mini Militia features 3 different offline modes. While Doodle Army 2: Mini Militia is best known for its multiplayer combat mode, it also offers 3 different offline modes to try out, training, survival, and co-op mode. All of which should keep you thoroughly entertained for hours on end! In training mode, you’ll learn how to accurately shoot your foes, while in survival mode your aim is to stay alive as long as possible in order to beat your high score. Lastly, in co-op mode, you’ll get to play a game with a buddy, instead of having to take on your opponents as a solo player. 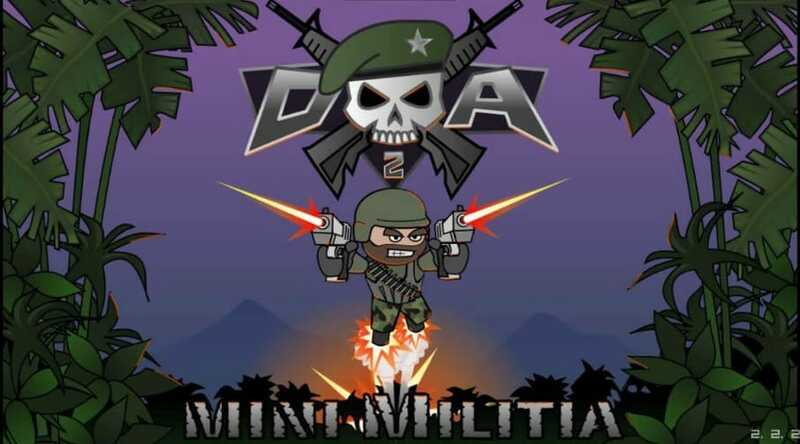 So if you’re interested in downloading a casual shooter which you’ll be able to play offline and well as online, it’s well worth considering downloading Doodle Army 2: Mini Militia. 2. It boasts a wide selection of powerful weapons. Some of the weapons which you may come across playing Doodle Army 2: Mini Militia include shotguns, sniper rifles, grenades and flamethrowers. So whether you prefer taking out your rivals with a sniper rifle with a carefully aimed shot from a safe distance or you enjoy sneaking up on your foes and ambushing them with a shotgun, you’ll easily be able to find weapons which suit your unique style of gameplay. 3. You’ll get to participate in adrenaline-inducing team battles. If you can convince a few of your friends to download Doodle Army 2: Mini Militia you’ll be able to face off as a team against rival teams from around the world. 4. You’ll easily be able to spend several hours playing Doodle Army 2: Mini Militia’s multiplayer combat mode. In each battle to the death, you’ll face off against 6-12 real-life human players, who you’ll need to gun down, in order to win your battle. If you struggle to win your first match, it’s well worth playing Doodle Army 2: Mini Militia’s training mode, which will teach all the skills which you’ll need to gun down your opponents and take out your first online solo multiplayer battle. 5. It boasts cute, stickman themed graphics. If you prefer cute graphics and animated over realistic graphics, you’ll love the fact that Doodle Army 2: Mini Militia features cute, stickman themed graphics. So if you’re not a fan of SOCOM or Halo style graphics, you’ll much prefer playing Doodle Army 2: Mini Military compared to the vast majority of shooters which you’ll be able to download. Part of the fun of playing Doodle Army 2: Mini Militia is getting to hear cute sound effects every time you gun one of your opponents down. So if you’re looking to download a simple to learn yet addictive shooter, that doesn’t take itself too seriously it’s well worth downloading Doodle Army 2: Mini Militia today. Sometimes when playing Doodle Army 2: Mini Militia, bluestacks ask you fee to pay but gives you option to download some apps. Every time it asks you just select “Install apps” and continue using it free. I hope you enjoyed this article, please rate and share. If you have problems running Doodle Army 2: Mini Militia on your desktop or any other issues, leave a comment below.